Time: 12 p.m. ‒3 p.m.
From Brazil to Baja, Peru to Palm Springs, join us as we celebrate the distinctive taste and lifestyle of Southern California and beyond. You’re in for an afternoon of flavor and flair like no other. 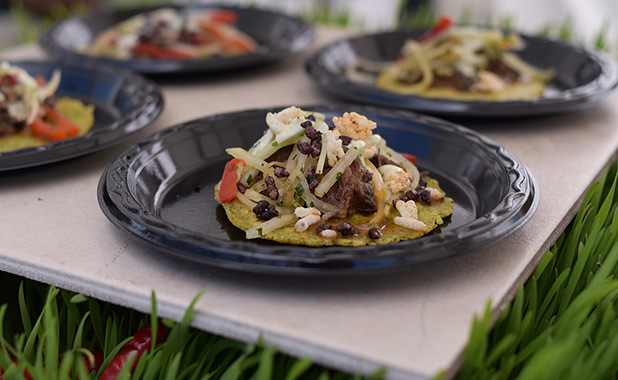 Sample your way through a menu of inspired dishes, influenced by the different spices and foods native to the Americas and infused with each participating chef’s signature style. As a complement to the array of culinary tastings, spirits, craft beers, wines, and cocktails will whet your whistle while you wander leisurely through this food and drink playground. 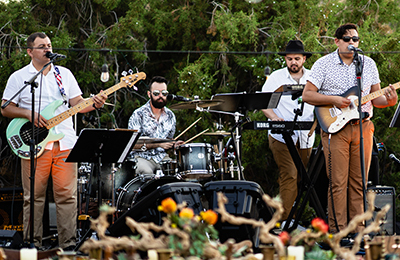 Music performed by Avenida Music. Admission includes entrance to the event, all food and beverage tastings, chef demonstrations, and more. Sunday March 24, 12 p.m. ‒3 p.m.
John Kelly Chocolates is an award-winning national brand sold in high-end department stores, specialty shops, hotel gift shops, grocers, online, and through our own stores. Founded in 2004 by John and Kelly in Hollywood, we continue to make all our chocolates and other products by hand. In February 2019, we were named the #1 chocolatier in Los Angeles by MSN. Join Annie Arnold, Organic Wine Retail Pioneer and 3rd generation wine aficionado, as she describes the differences between wines labeled organic, sulfite-free and vegan. She will discuss the manner in which wine has been produced for generations and how organic wines fit in to this ancient tradition. Attendees will be able to taste wines made with organic grapes all while becoming educated about the organic wine movement. Come make a SPLASH with Hilary Pereira, Founder of SPLASH Premium Mixers and enjoy a session on mixing and tasting healthy and Spring-inspired cocktails. Hilary is a best-selling author and entertaining expert, and will discuss Spring entertaining ideas and healthier cocktail recipes.